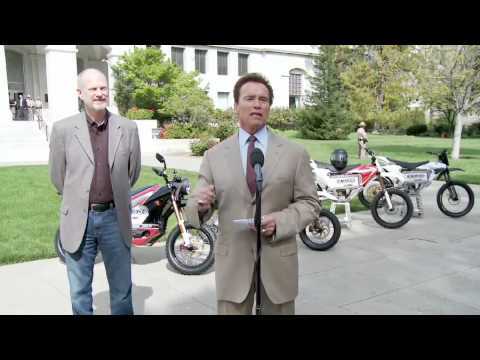 More Info & Demos: www.zeromotorcycles.com --California Governor Arnold Schwarzenegger recognized Zero Motorcycles as a leader in electric motorcycle technology, at the State Capitol in Sacramento, Calif. 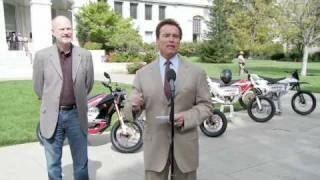 Zero CEO, Gene Banman, gave Mr. Schwarzenegger a tour of the full 2010 Zero product-line and also presented a speech at the Press Conference that followed the product tour. Gene's speech is not shown in this clip.